If you or a loved one is dealing with the pain and suffering of addiction, know that life does not have to be this way. Those that make the right moves to better their life or so very often successful in that endeavor. It can be possible to help a person to reclaim any lost sanity, integrity, or sobriety. Your next move is to receive free, confidential, and immediate guidance and help by filling out our contact form or by calling our addiction hotline. Call 911 if you are dealing with an emergency. Many young people have been fed a lie, and the result is that they are now dealing with addictions and other nasty side effects from a so called harmless herbal drug. The drugs have traditionally been sold as herbal incense, Spice, K2, and synthetic marijuana. Initially deemed as non-addictive and safe, these drugs have caused major side effects—both physical and psychological—and even death, to some of its users. For instance, in Iowa, one teenaged boy was hanging out with his friends when they all decided to do K2. One hour later, the boy took a gun and put a bullet in his head, killing himself. The boy’s family, as well as the authorities, believe that this rash act was caused by his use of the K2 drug. What are the Side Effects of Spice? In addition to these side effects, researchers are very concerned about the possibility of psychosis in users. The drugs haven’t been around long enough to know what long-term effects users will experience, but severe psychotic and violent behavior has been observed in short-term users. Studies suggest that if the user has any personal or family history of mental issues, the drug may trigger a long term psychotic disorder with them. In addition, the drug is thought to worsen an existing psychotic disorders, or cause new psychosis in users who have no previous history with mental disorders. Originally, the drug was marketed as safe and non-addictive, but that has turned out to be untrue. One of the reasons so many people consider the drugs safe is because they are herbal based. But what many users don’t realize is that synthetic chemicals and drugs are added the innocuous herbs to give users that high they seek. And just as with any other street drug, users have no way of knowing what the substances are that have been added to the herbs. That’s why the reactions can be so varied—Spice users can ingest one type of substance one day, and another the next, and have absolutely no idea what they’re putting in their bodies. Many people immediately began using these drugs when they first arrived on the scene because they thought it was a safe, legal way to get high. In fact, the drugs got their start in the many Hookah shops and bars that have popped up all over the nation. But now young people everywhere are struggling with addictions to these synthetic drugs and are desperate for help. 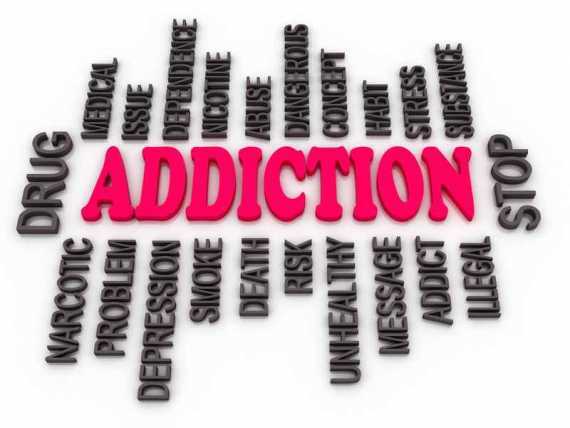 The addictions appear to be all consuming, much like the so-called harsher street drugs like meth and heroin. It has been found that the addictions are psychological in nature, which are the most difficult type to overcome. Congress has stepped in to make these herbal based drugs illegal, and have passed legislation on some forms of it. In addition, some states, including Kansas, Georgia, Alabama, Tennessee, Missouri, Louisiana, Mississippi, Iowa, Arkansas, New Jersey, New York, Florida, Ohio, South Dakota, and North Carolina have passed independent bills making the drugs illegal. It can be overwhelming to battle with an addiction, especially one that resulted from a drug that was supposed to be legal and safe. If you or a loved one is fighting a Spice addiction, we can help. One of the obstacles to overcoming any addiction is finding the right treatment center. At Counseling for a Better Life Therapy and Treatment Center, we make it our job to help people find a counseling or treatment center that’s right for them. We offer our help for free and the information that you shared is confidential. Do not let an addiction dictate your life. The suffering and misery can be overcome. By enlisting our support and by taking the right forward steps, it can truly be possible for a person to reclaim their lost sobriety, sanity, integrity, and health. Your next step is to receive free, confidential, and immediate assistance by filling out our contact form or by calling our addiction helpline.